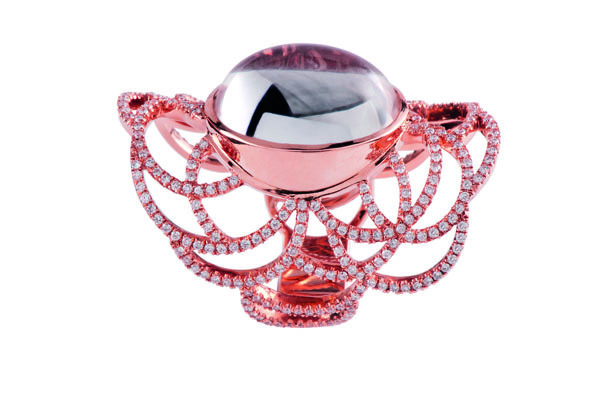 New York, NY(May 1, 2018) – Heritage filigree jewelry maker Eleuterio makes its US debut at COUTURE 2018 this year in a strategic effort to continue expanding the Portuguese brand’s global footprint. 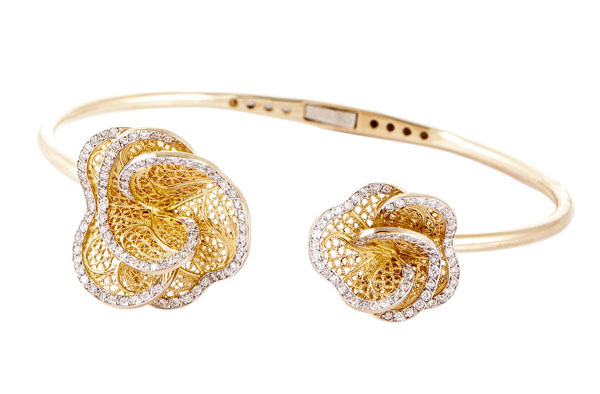 Founded in 1925, Eleuterio has always specialized in the art of handmade gold filigree jewelry, an ancient technique which the company has perfected. 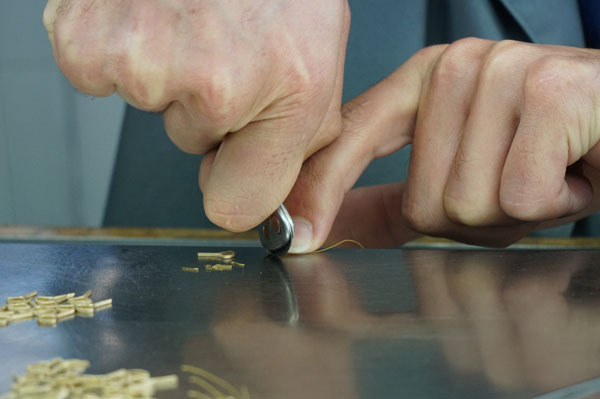 The company’s workshops were first founded in 1925 in Travassos, a northern region of Portugal known for its strong handcraft traditions in jewelry making. The company’s namesake, Eleuterio Antunes, moved to preserve the traditional filigree jewelry craft techniques during a time when mass production and casting nearly made such precious skills extinct. Efforts by other firms to replicate the look of filigree with new casting methods inevitably impacted the quality and finesse of the jewels and could not compare to the fine traditional hand worked pieces produced by the artisans of Eleuterio. Today, Eleuterio remains honored to preserve, promote, and perpetuate the unique art of hand-made filigree jewelry making which has endured in Portugal for more than 5,000 years. Eleuterio and its workshops remain rooted in Northern Portugal where the company first began, led by the third generation of the Eleuterio family, Rosa and Luis Antunes. 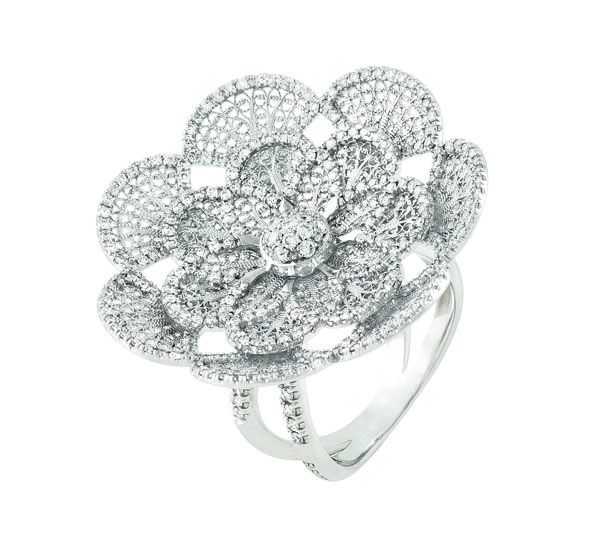 About Eleuterio: Established in 1925,heritage filigree jewelry brandEleuterio was founded in 1925, specializing in gold filigree jewelry of the highest quality. Located in Northern Portugal, the brand and workshops remain owned and operated by the third generation of the Eleuterio family, Rosa and Luis Antunes. 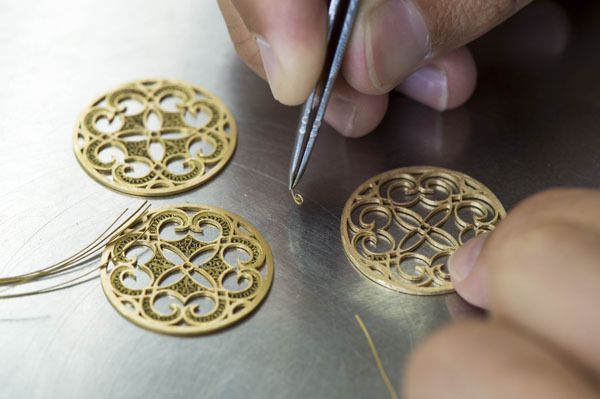 Preserving and protecting a vital Portuguese ancestral tradition, the artisans of Eleuterio hand-make each filigree piece with delicate lace-like gold threads using techniques that date back over 5000 years. 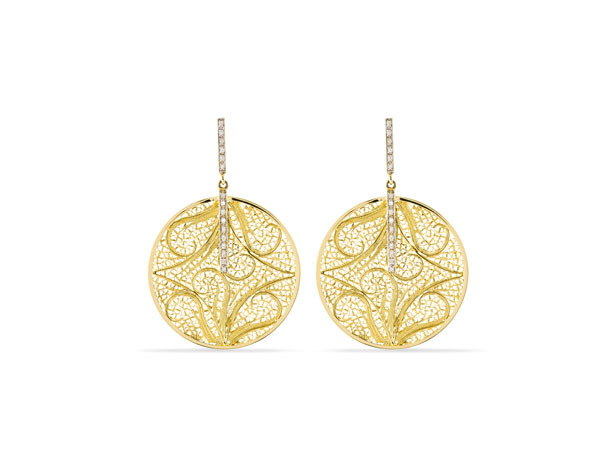 Today, Eleuterio skillfully reinterprets this traditional filigree art into a contemporary, globally inspired filigree collection crafted in gold and diamonds, available throughout Portugal and beyond.